So school is coming back in and Game of Thrones Season 7 is over. Heart-wrenching. You’re nervous. 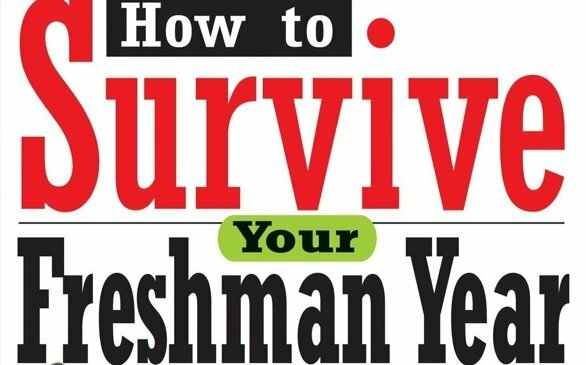 Don’t worry; I have tips & tricks to help you survive college life, no matter the year you’re entering! In college, making friends seem so easy; It’s not. Wait! Before you turn away, hear me out. It’s not easy especially for introverts, but it is possible. You simply have to be open minded and step outside your comfort zone. One great way to do this is to get involved with clubs! Whether that is LGBTQ, Theater, Finance, Cultural Societies, Science clubs, etc. This helped me allot in my first year, and I’ve met many of my friends in these clubs! Another tip is always to remain faithful to who you are. Remember no one in college cares, about what you do or don’t have. It’s all about getting the best experience possible and making memories that will last a lifetime. Finding the right courses can be hard, especially for first years! However, don’t worry about it. Take your time, research, meet up with your academic advisor and make sure you’re happy with taking those courses. After all, it is YOUR college/university experience. Also don’t over swamp yourself with classes, to the point you cannot even enjoy, your new experience into adult hood. I took three course my first semester and then four courses my second semester, for my first year. That kept stress away from me. I know, I know. We can’t talk about college life without mentioning our favorite Hogwart’s professors. Your professors can sometimes be intimidating, but don’t let that get to you! Most professors truly do want their students to pass and will take the time out to help you! Just ask. Don’t be afraid to ask questions in class! No one will laugh at you. I promise. Most likely the majority of your classmates had the same question (s) to ask. I get it, you still might be nervous about your professors. Well, I have a treat for you! It’s called Ratemyprofessor.com. On this site, you can see the teachers at your school for the courses you are signing up for. You get real life reviews from students at your at college/university about that particular professor(s). How hard their class was, how much reading material there was, the teachers teaching ability and so much more!